This is a guest blog post by Kevin Hill. 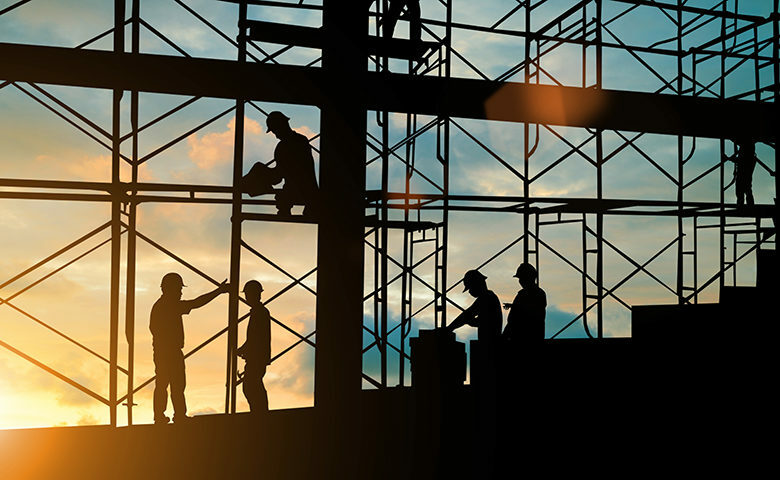 If you deal with construction projects, you’re used to handling multiple people and contractors, and continuously managing the risk of injury and damages. Any incident in a construction site can cause injuries or death, create unwanted delays, cost money, and have a residual effect long after the project is completed. In order to overcome the safety-related challenges of managing hundreds of construction workers with varying levels of training and competency, you should use a site-specific construction safety plan to manage risk and prevent workplace injuries. What is a Site Safety Plan? A site safety plan is a written document that outlines how a general contractor will manage the risk on a specific project site and the health and safety requirements for that project. The primary objective of a construction site safety plan is to identify safety concerns and requirements in order to head off potential incidents at the worksite. be updated regularly to incorporate major changes to project conditions and hazard exposures. What Is Involved in Creating a Site-Specific Safety Plan? A safety plan that is site-specific helps business stakeholders abide by OSHA regulations and other safety standards. Moreover, it provides a process for reporting accidents and managing and identifying hazards. A relevant and thoughtful site-specific safety plan helps in averting serious accidents and avoiding damages. The general manager or contractor prepares the site safety plan alongside subcontractors. Not every site has the same requirements, and the safety plan must be designed specifically to each site. Generally, on a large job site, several contractors coordinate their safety programs to prevent omissions, overlap and conflicts. The plan includes each phase of safety and describes how specific processes are to be performed. The site-specific safety plan should ensure that all machines, tools and safety gear are inspected before use. For example, if you will use industrial floor scales for weighing heavy loads, confirm that the area surrounding the scales and the scales themselves are safe to use. It is critical to list all the procedures and schedules for regular inspection, testing, and reconditioning that are required by the manufacturer as well as local, state, and federal standards. Outline how deficient equipment must be handled and indicate who is responsible for inspections and repairs. Record all these activities carefully. Supervisors are responsible for the safety of each worker on the construction site and must clearly communicate safety issues to all workers. It is crucial that each supervisor completes safety and first-aid training. They should also understand how and when to stop construction work should a hazardous situation occur. The site safety plan should identify the company’s safety representative, who is responsible for safety related-training and the verification of worker compliance with safety regulations. The same is the case for supervisors or foremen with the authority to spend money to eliminate imminent danger to workers, others and the property. Finally, make sure the plan clearly states that the supervisor of the concerned worksite will conduct continuous safety inspections of the work area if any safety concerns are identified. Every single incident, even incredibly minor ones, must be reported to the site foreman or supervisor. All details pertaining to the incident should be mentioned and an investigation should determine the steps that need to be taken to eliminate the hazard. The site-specific safety plan should identify the personnel who will conduct incident investigations, how they can be reached and where the records will be kept. Mention all safety signs that are used within your company. The plan should also detail all warning signs that may appear on-site and when they should be used. The final major component in a site safety plan is detailed documentation of how and when the company conducts safety training for all employees. Include who will give training and when. Additionally, state that employees are encouraged and empowered to bring any safety-related concern to the attention of management, and indicate how and when management will review any issues that arise. It takes some effort to create a site safety plan. It is not a one-person job, and concerned parties must join forces to create a solid safety plan. Remember to constantly review and edit the safety plan. You can also apply lean practices in construction projects for higher productivity and efficiency. A strong site safety plan ensures that every worker goes home safe and unharmed at the end of the day.